Are you looking to work with Melbourne’s best buyer advocates? 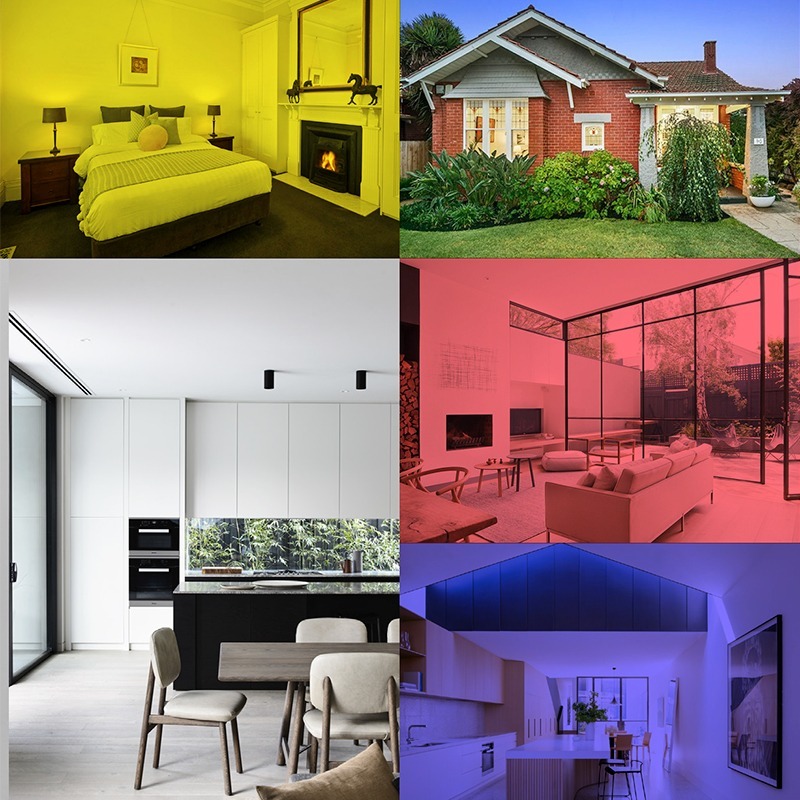 Welcome to Parker Buyer Advocates, an award winning Melbourne Buyer Agency specialising in residential homes & investment properties. Are you struggling with Any of these 9 Property challenges? Having spent 14 years helping home buyers and property investors purchase homes and investments in Melbourne, we have heard many home buyers share the following 9 common challenges when buying a home or investment property. How many of these challenges can you relate to? Price guides are rarely accurate when it comes to Melbourne property. When you work with a buyers advocate you will have crystal clear market knowledge and know the true value of your chosen property. When it comes to property the stakes are high and mistakes are costly. And there is always that nagging thought “what if we’ve missed something”. With a buyers advocate on your side you can buy with 100% confidence. How much is too much? If you are worried about overpaying, hiring a buyers agent in Melbourne gives you peace of mind around paying the right price for your new home. A recent survey conducted by Ubank shows that most buyers take an average of 10 months to buy a house in Melbourne. But we know many who have been looking for 12 months +. Having a buyers advocate take care of the search for you will significantly reduce the amount of time it takes to buy a home. We will help you get your weekends and your inbox back. Sales agents receive state of the art sales training every 4-6 weeks. That’s 100 of hours of sales & negotiation training, PLUS an additional 800 hours of real life negotiating experience every single year. Most buyers have only ever had a fraction of this training, if any at all. As experienced negotiators we level the playing field and give you the very best chance of success. Every weekend inexperienced buyers make rookie mistakes at auction that costs them $10,000’s . From the buyers who bid against themselves to the buyers who reveal all their cards in their body language or to the selling agent during the sales campaign. We see it all. We outsmart the other bidders and protect your personal information which keeps your purchase price as low as possible. Most people will only buy 1-3 houses in their entire lifetime. Sales agents, on the other hand, sell that many houses every single week. For an experienced agent that could be as many as 1560 transactions compared to your 1-3, or zero. An inexperienced property buyer is no match for a seasoned professional. It’s important you have someone on your side with as much experience as the sales agent so you don’t overpay. Estimating the true value of a property can be challenging for many buyers. As buyer agents, our job is to provide you with genuine guidance about the realistic selling price for a property. You will never waste time & money chasing a property that is never likely to sell within your budget. To the untrained eye a property on the internet can look far better online than it does in real life. With a professional buyers agent working for you, you will never have to look at a dud property ever again. We sort the good from the bad and pin point the very best property to suit your needs, budget and style. When you work with a genuine professional who understands the Melbourne property market, you benefit from years of experience, decades of industry contacts as well as on-the-ground market knowledge. In September 2018, Parker Buyer Advocates accepted it’s 6th award nomination in twelve months for the category of Buyers Agent of the Year. Having won the category for Victoria in 2017, Parker Buyer Advocates Director, Lisa Parker, became one of three finalists in Australia to compete for REIA National Buyers Agent of the Year earlier in 2018. Lisa is humbled by the nomination and recognition of her dedication and strives to continually excel in the field of buyer advocacy. We are a Boutique Melbourne Buyers Agent specialising in residential homes and property investment in the Melbourne property market. We don’t just dabble in buyer advocacy, we are full-time Melbourne buyer advocates, otherwise known as buyer agents, who live and breathe property. 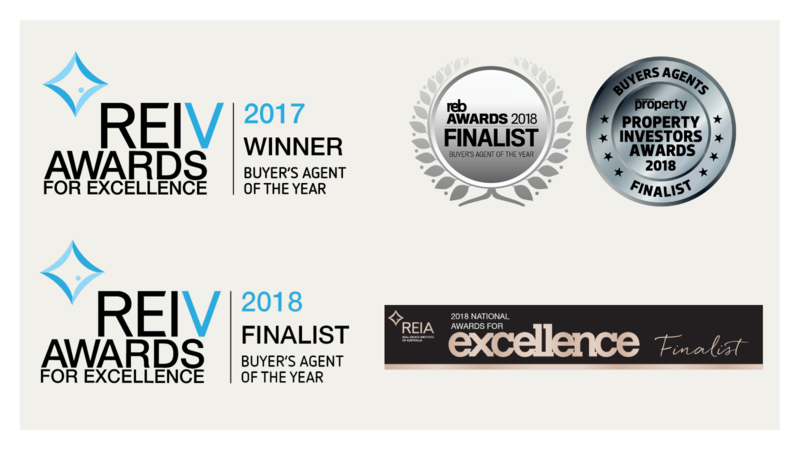 With 6 award nominations for Buyer Advocate of the year in 12 months we are proud to offer our award winning buyer agents service to our clients. From executive multi-million dollar homes, affordable, beautiful first homes to investment grade properties. Our buyer agents specialise in listening to your needs and finding the perfect first home, next home or investment property in Melbourne. Using our proven process refined over 14 years means you get the results you hired us for. During 2017 99% of clients achieved a successful outcome when they used our Melbourne Buyer Advocates. Clients from all over the country and overseas use our services to buy property in Melbourne. Here is what they have to say about working with the team at Parker Buyer Advocates. A Buyers Agent is a licensed real estate agent who specialises in representing the buyer. Many people make the mistake of thinking that a real estate agent is there to help the buyer as well as the seller. The truth is that real estate agents selling a property have a legal and fiduciary duty to represent the seller in a transaction. This means that the selling agent’s allegiance is 100% with the vendor (the person selling the property), not you the buyer. A Buyer’s Agent, also known as a Buyers Advocate or Property Advocate, is a specialist real estate agent that represents the buyer. The job of the Buyers Advocate is to ensure that the buyers legal rights are protected, that they have fair representation in the buying process, don’t over pay for a property or fall victim to savvy selling techniques that aren’t easy to spot unless you have undertaken real estate sales training yourself. A Buyers Advocate is your independent property advisor you can turn to and trust when you are buying a home or investment property. WHO HIRE'S A BUYERS AGENT? Hiring a buyers agent is not just reserved for the rich and famous. Having a fair and reasonable fee structure which typically saves people a lot of money, buyer agents are now hired by many different types of people. From busy families, to first time home buyers, time poor executives, overseas expats and interstate property investors, more and more people use buyer agents to purchase property. Because the Buyer Advocate is independent and represents the best interest of the buyer, it is the buyer that pays the fee directly to the buyers agent. Be wary of any company or person who is calling themselves a buyers agent offering a free or very cheap service. Since there is no legislation around who can and cannot call themselves a buyers agent or buyers advocate, many “fakes” and “double agents” are beginning to capitalise on the popularity of buyer advocacy work. If you want to work with the best buyer advocates you need to ensure you hire one who is truly independent and professional. The fee you pay will often be reflective of the level of skill, professionalism, and value the advocate brings to your transaction. A reputable and experienced advocate will be worth their weight in gold. But you needn’t have to pay an arm and a leg. An industry standard among reputable advocates is between 1.5 – 3% of your budgeted purchase price. This would be for a full service offering. If you would only like to gain assistance with parts of the buying process the fee will be considerably less. While some people may feel this is an expense they cannot pay on top of the purchase of their new home, many people find the fee very fair and reasonable when compared to the costly mistakes people make when purchasing a home or investment property. Hiring the best buyer advocate in Melbourne will give you an unfair advantage and ultimately save you money on your purchase. The reality is that most people need a buyers agent and should be using one. Unless you are a professional property buyer and are very experienced at buying property or you have extensive sales and negotiation training, you will probably cost yourself money trying to DIY. If you think about it, most people only ever buy 2-3 homes in their entire lifetime. Yes you will be up against trained professionals who sell 2-3 homes every single week. Are you adequately trained and experienced to outsmart and out play a sales agent who is on the vendors side? Yes. There are 5 ways you will save more money by hiring a buyers advocate and approximately 20 ways you will lose money by DIYing the buying process. If you have never purchased or rarely purchased a home or property investment it is reasonable to conclude that you will not do it quite as well as someone who ONLY buys property for a living. There are so many tricks and traps the agents can use against you as an inexperienced buyer, and the training and methods used are so subtle, you do not even realise they are doing it. A seller has a professional on their side to get the highest possible price for the property. As a buyer you should have a professional on your side levelling out the playing field. HOW CAN I RECOVER MY INVESTMENT IN USING A BUYERS AGENT? Many clients come to us after trying to buy real estate for 12 months. When you work with us, you not only save 12 months of trying to DIY, but because of the resources we have access to and our experience, we will hone in on the right properties faster and negotiate to win the ideal property for you quickly. Some of our clients love the idea of hiring us for their first 1-2 purchases before they venture off and DIY. That way they can learn from an expert AND get their desired result saving them from having to invest money into expensive property training and mentors. Depending on the property market, your budget and your brief it is possible for you to save a lot of money off the asking price. You can view the case studies to see the varying amounts and circumstances surrounding the discounts clients have enjoyed. If you are buying an investment property part of the fee may be tax deductible. Please speak with your accountant about this and be sure to keep your invoice and receipt with your purchase details so you remember to claim the fee as part of your purchase cost. This will lower the amount of capital gains tax you will pay if your purchase is an investment property. As the old saying goes “you make money when you purchase”, and that can certainly be the case for clients when they work with us. Our experience and expertise gives you the upper hand when it comes to securing a property before it hits the market and without competition. This means you pay less for the property than you would if you were a weekend buyer competing against multiple offers. Buying below market value gives you instant equity and places you ahead of the game. Ready to discuss how we can make home buying or investing in property in Melbourne a breeze for you? Fill out the form below and our team will be in touch with you shortly.